Before you ship the next killer app you must test your app on an iPad. Using the iPad simulator to test and debug your application will only get you so far. That’s why it’s important to always test your app on the real thing. But before your app will run on a real device, you must setup your iPad as a development device. This is where provisioning comes in, and that’s exactly what you will do in this chapter. Provision your iPad for development purposes. The steps involved in provisioning are tedious. Fortunately you do not repeat the steps often, only a few times a year. And Apple is continuously improving the provisioning process. Provisioning a device today using Xcode is easy peasy compared to what one had to do back in the day...the dark days of 2008. An individual registered as a paid member of the iOS Developer Program. You can be registered as an individual or company. An individual registered as a team member for a company that is a paid member of the iOS Developer Program. Depending on your team member role, your access to the Provisioning Portal maybe limited. There is no cost to the individual be a team member, and a team member has access to all the same developer resources that a paid member has, courtesy of the paid company membership. If you are not a paid member or a team member of a company then you will not have access to the iOS Provisioning Portal. Without access, you will not be able to provision your device. 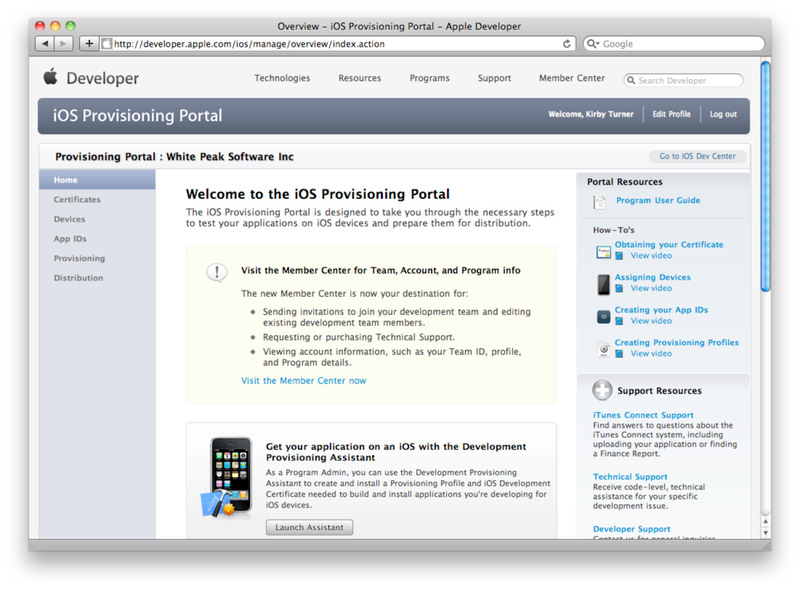 Figure 1 (Click to Enlarge) iOS Provisioning Portal home page. Team Agent - A Team Agent is the individual who originally enrolled into the iOS Developer Program. A Team Agent has full access to the iOS Provisioning Portal, privileges not available to others. A Team Agent can invite others to be a Team Admin or Team Member. A Team Agent can also approve certificate requests, register devices, create App IDs, create Push Notification service SSL certificates, enable In App Purchase, retrieve the distribution certificate, and create development and distribution provisioning profiles. Team Admin - A Team Admin can invite new Team Admins and Team Members to joint the team. The Team Admin can also approve certificate requests, registered devices, and create development provisioning profiles. Team Member - A Team Member can request and download a development certificate and download development provisioning profiles. No Access - No Access is a role given to developers to prevent them from accessing the iOS Provisioning Portal. This role is used when the company is enrolled in multiple Apple developer programs, i.e., the iOS Developer Program and Mac Developer Program.